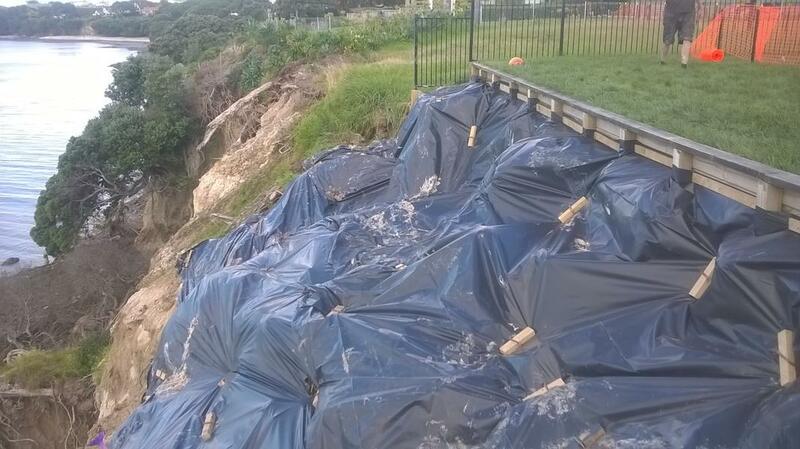 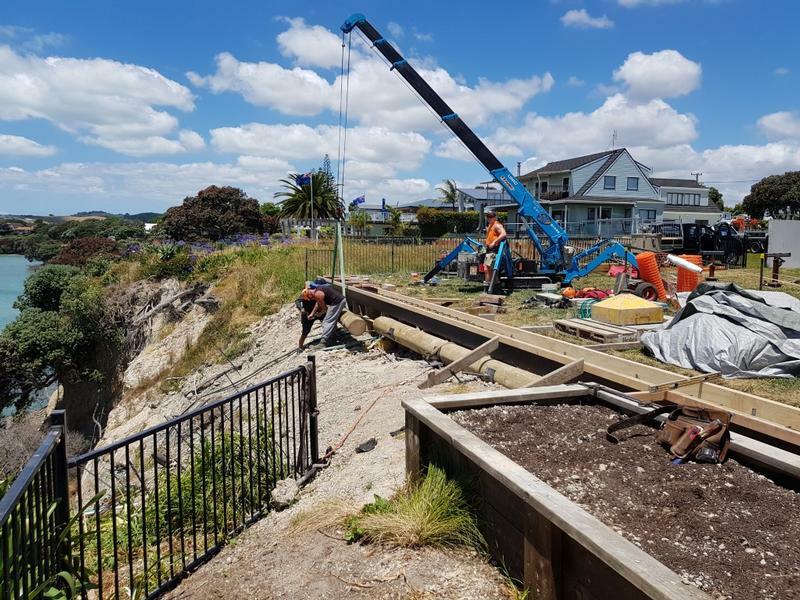 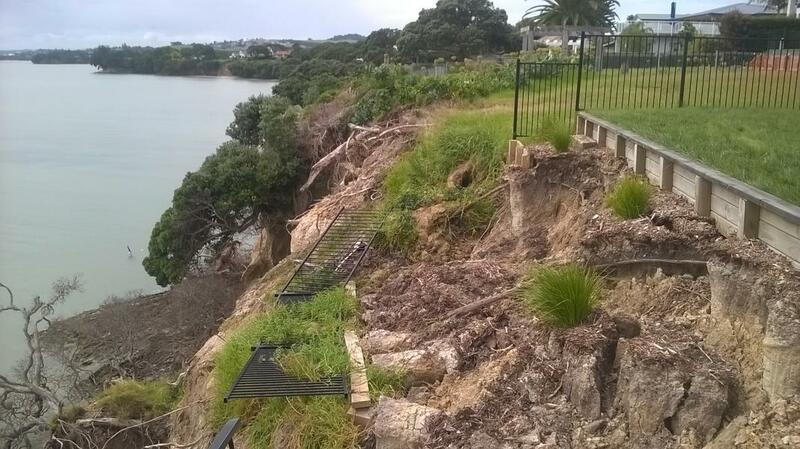 ESL was engaged, through direct negotiation with the homeowner, to provide a full design and build solution following a large landslip to their clifftop property in 2017. 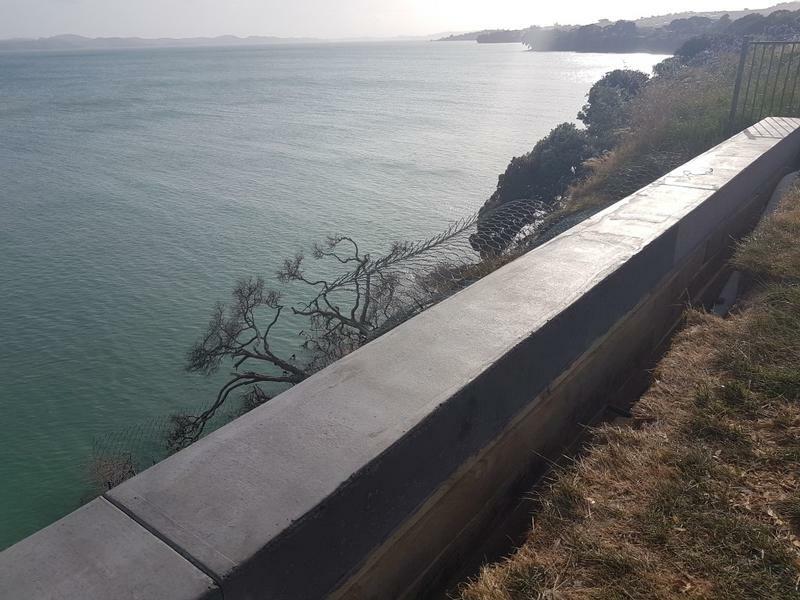 The completed project included the initial consultation, site investigation, detailed design, obtaining resource and building consents, carrying out complete construction of the solution and obtaining a code of compliance upon completion of the works. 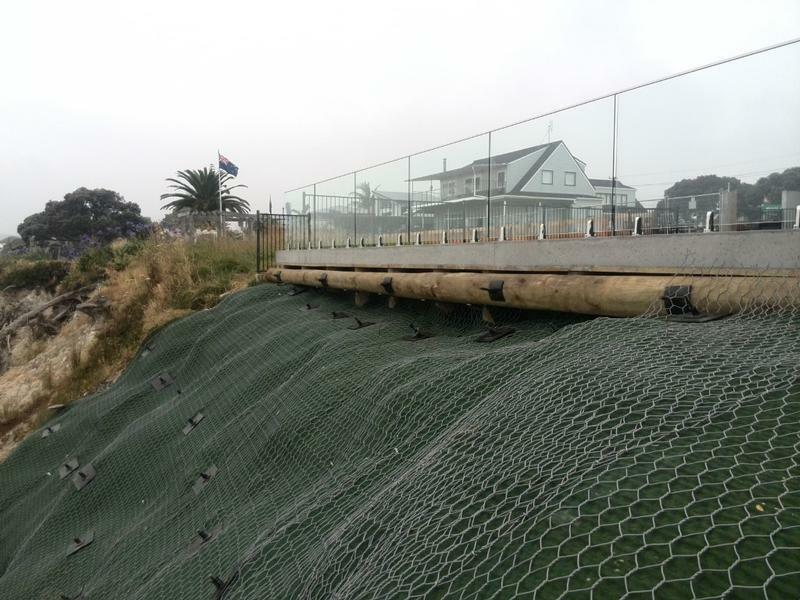 Following the initial consultation, ESL installed emergency temporary protection to the site to prevent any further loss of land, while a more permanent solution was developed. 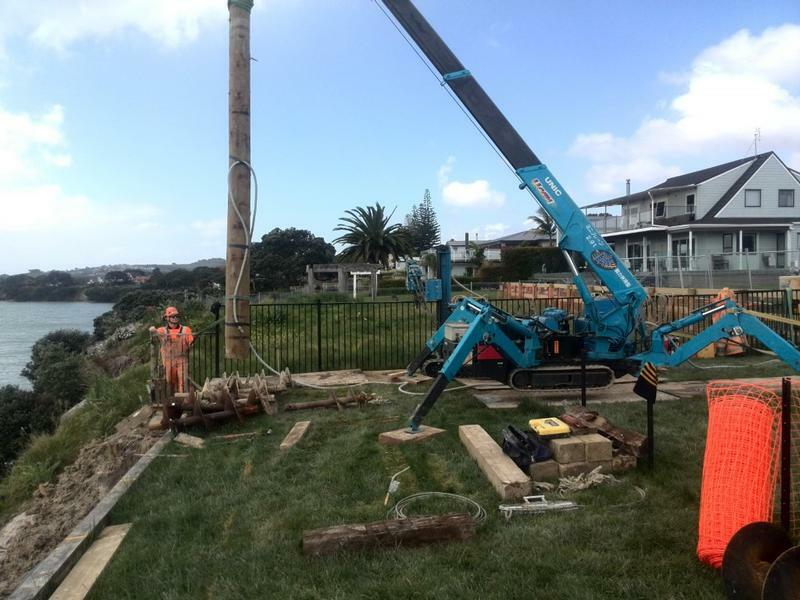 Construction of a 20m long tied-back timber pole retaining wall consisting of 6m deep 350mm diameter timber posts. A continuous 300mm diameter waling beam with 8 No. 10m long ground anchors. 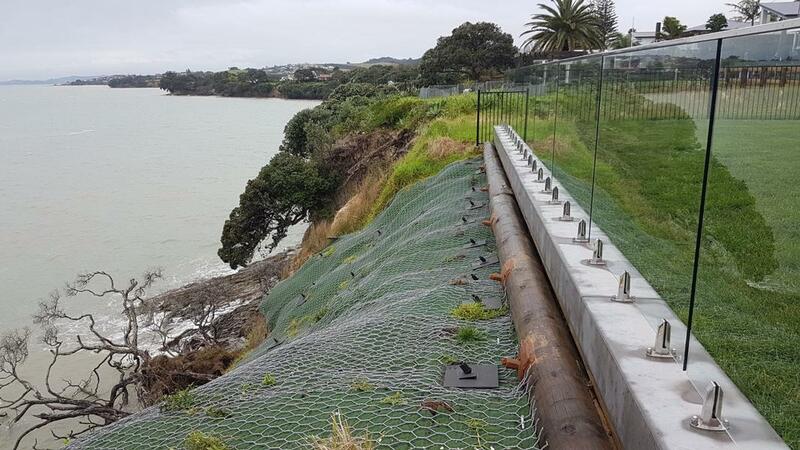 The existing slip was re-contoured by hand then covered with 220m² of turf reinforcement matting overlaid with double twist rock fall mesh secured with 54 No. 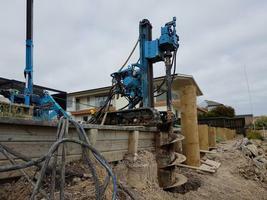 drilled and grouted soil nails. 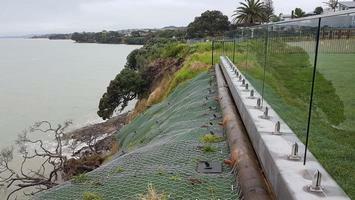 To provide permanent dewatering of the slope, 7 No. 9 metre long bored horizontal drains were also installed. 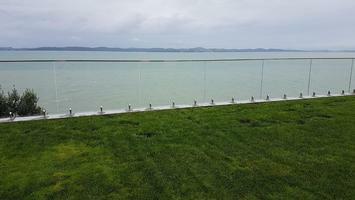 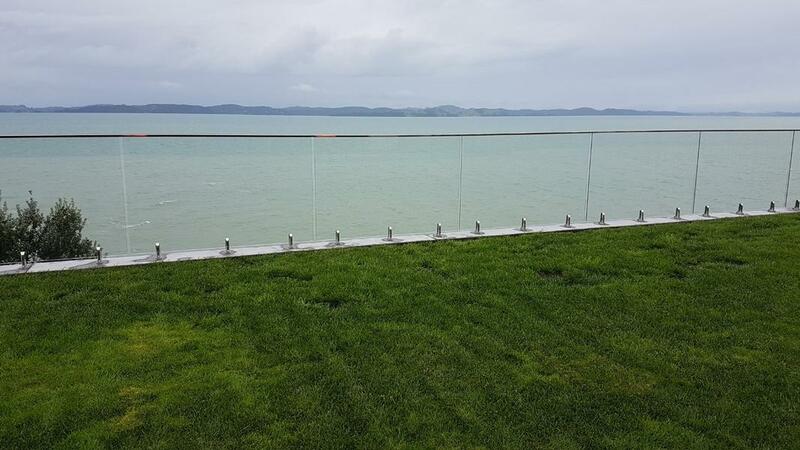 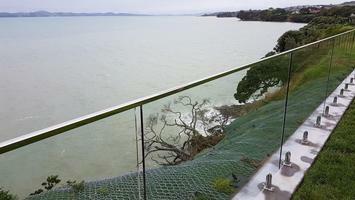 The works were finished off with a 400mm x 400mm 20m long reinforced concrete capping beam and glass balustrade. 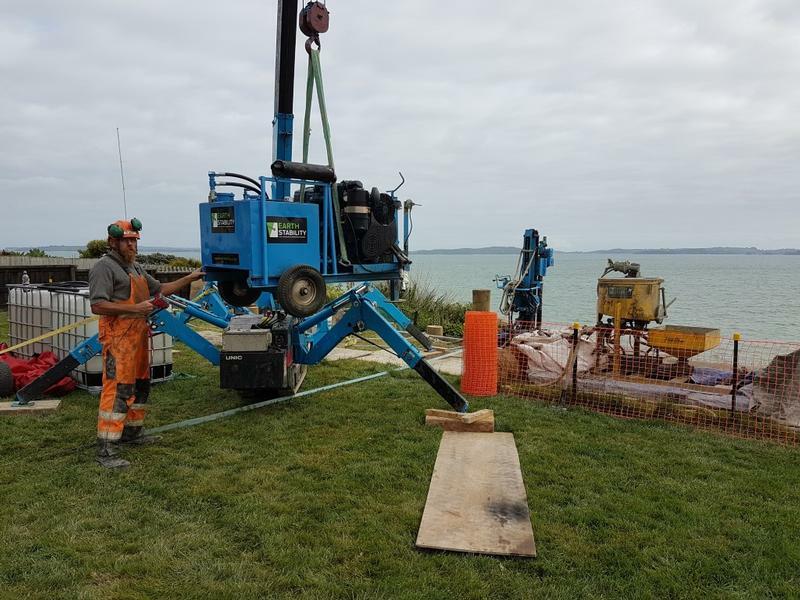 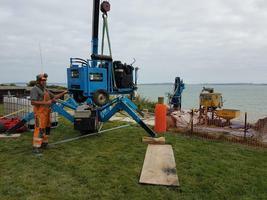 The site had extremely restricted access down each side of the property and required us to work at a height of 20m over a vertical section of cliff above the sea below.